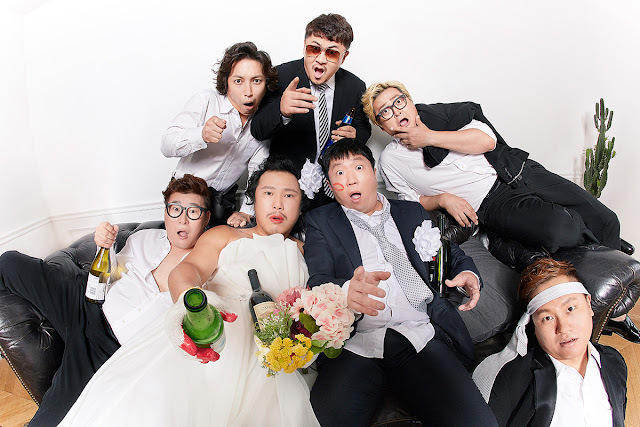 On this behind the scenes, hip-hop duo Hyungdon & Daejoon (They are most hottest comedian and musicians in Korea and Asia) collaborate with rock band Rose Motel for a concert and our friend Manchul Kim was the photographer behind the posters. They show us a good sample of their good sense of humor. That is the key for great group portrait photographs.